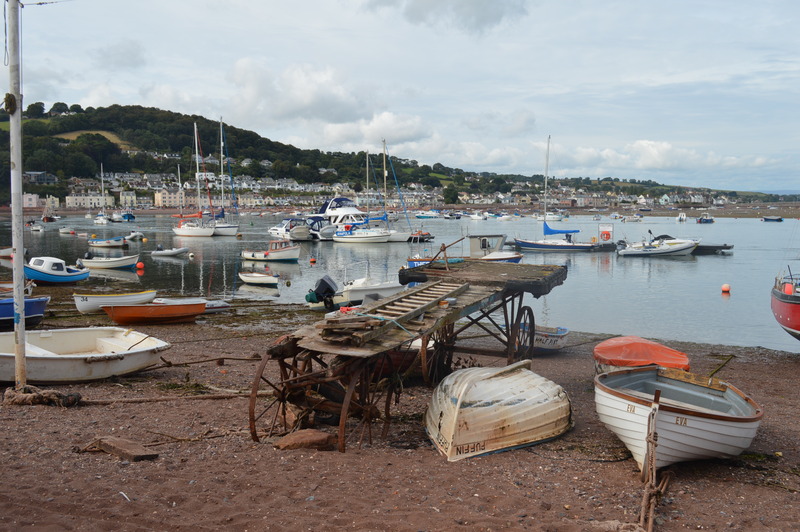 Teignmouth is a small, unpretentious, working port. It has not been swamped by the leisure market and in my opinion is all the better for it. 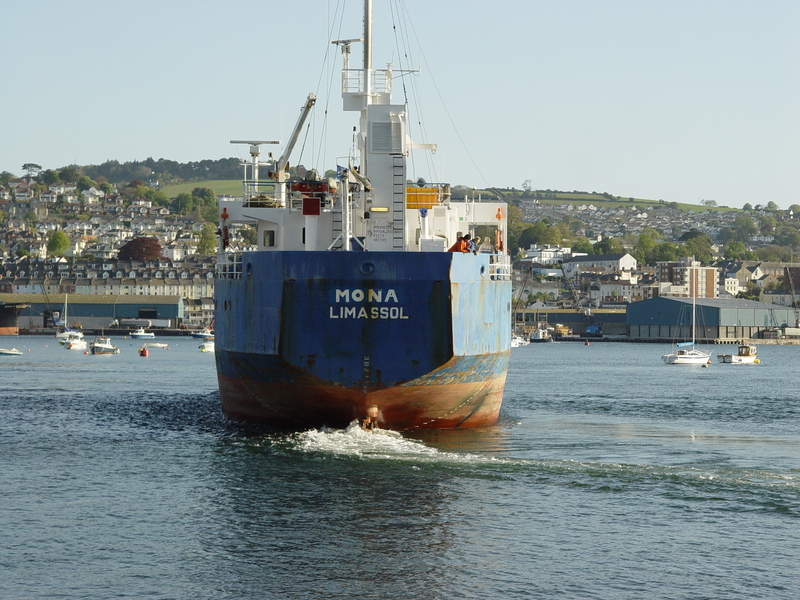 The port is shared by yachts and cargo ships and trawlers and small craft of every description . . .
. . . including a racing fleet of seine boats and gigs. Weather fronts come in from the south west and we are destined to stay for a whole week. The delay allows time to trace a small leak around the exhaust outlet which has been leaving water in one of the lazarette lockers. it will mean removing the fitting and reseating it over the winter. In the meantime, a healthy dose of silicone sealant provides a sound temporary solution. The weather begins to clear and I leave early one morning on a solo passage back to Plymouth. The plan is to make Salcombe tonight, then the shorter passage to Plymouth tomorrow, enjoying some fishing on the way. I need to average just over 4 knots to get to Salcombe comfortably before nightfall. 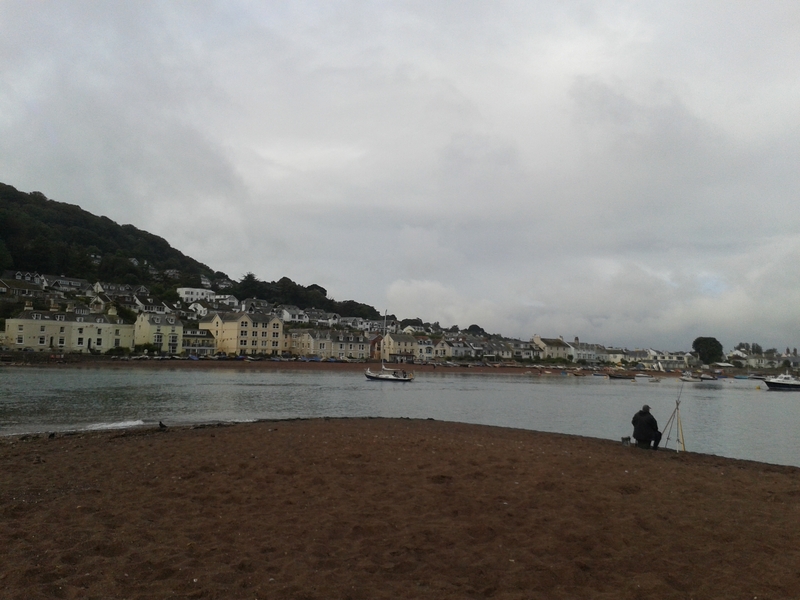 There is light rain as we motor out past Shaldon. The wind gets up, we pass the Ore Stone and cross Torbay in fine style. However, south west of Berry Head, the wind begins to drop and my estimated arrival time gets later and later. The wind might increase again once we are outside the Skerries Bank but this is a passage to deliver the boat back to Plymouth on schedule. To keep to the schedule, it will be sensible to motor sail . . . for a while at least. 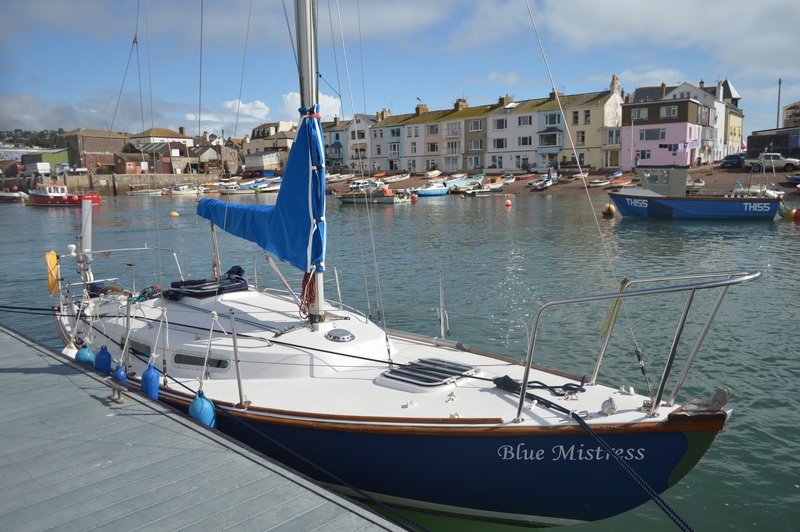 For this post, it is sufficient to say that, having found that I can’t solve the problem myself, I change direction and put into Brixham for repairs. It is, as anticipated, an electrical fault. 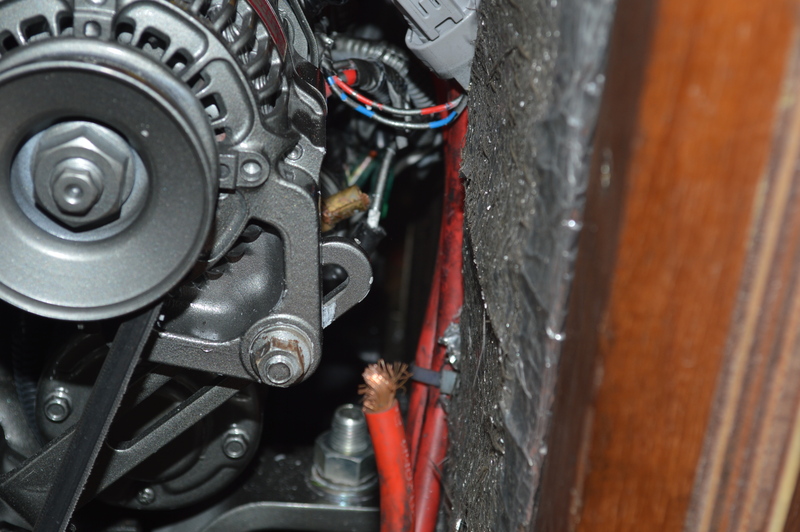 Given the size of the problem – the parting of the main cable feed from the battery to the engine, I am amazed that I didn’t find it immediately. In my defense, the junction is covered by a hard plastic sleeve holding the cable firmly in place – not firmly enough obviously! As always, with hindsight the solution is easy, it’s finding it that’s the problem. I am fortunate that there is an engineer on hand this afternoon. My thanks to the staff of Brixham Marina, who have towed me across Brixham harbour at short notice and found me a berth, and to Nick of Torbay Outboards for his prompt and skillful help in producing a new spade terminal and large crimping tool and reconnecting the cable – a job that takes the professional a few minutes. The afternoon has gone, I have lost time and tide. I will spend the night here and continue early tomorrow morning. 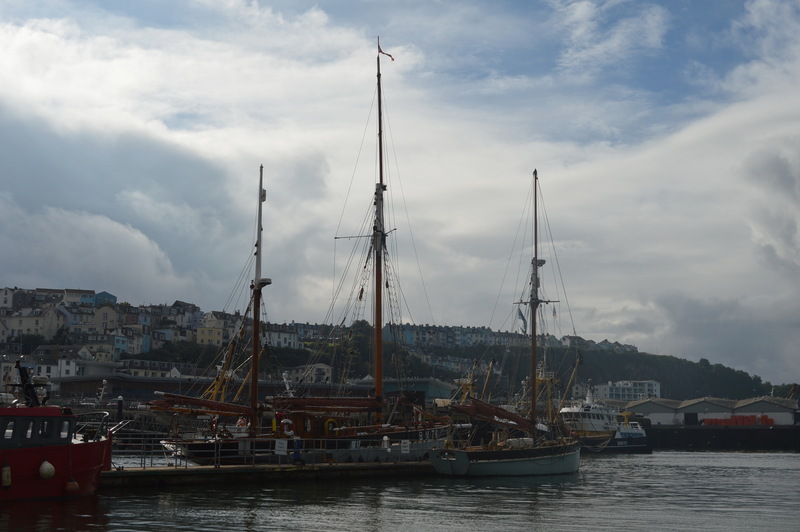 The unexpected bonus is to share the water with the Brixham trawlers. 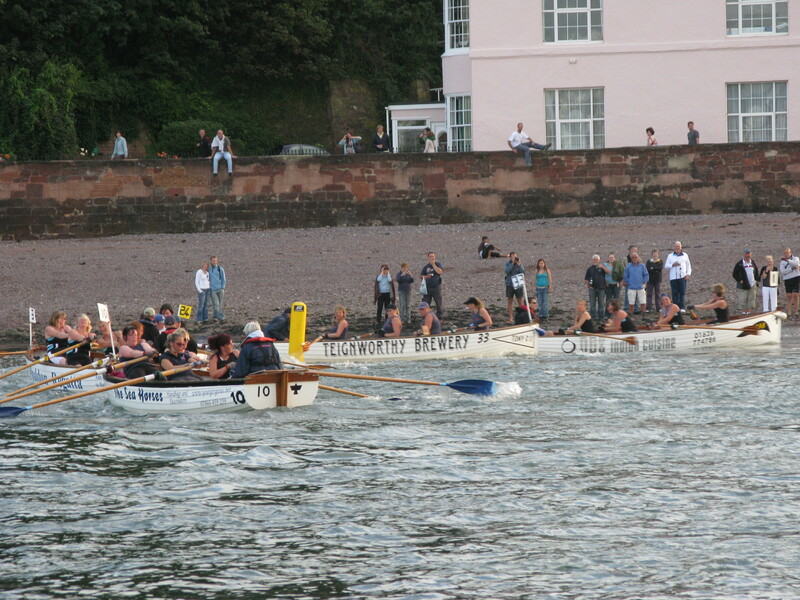 (All images taken by Bill Whateley except the one of Blue Mistress leaving Teignmouth which was taken by the shore crew). Pingback: Torquay to Teignmouth ~ photographing the sea ~ the Red Arrows | Beyond Steeple Point . . .
Pingback: Brixham to Plymouth – reflection – tidal race | Beyond Steeple Point . . .